It is possible to get paid to write for letter pages, short fillers, sharing tips, telling funny stories or jokes and giving your opinion about everyday occurrences. These generally get published in magazine letters pages and those of daily and weekly newspapers. They pay anything from £5 to £50, more for star or letters of the month or week. Cheque or postal order payments are usually sent 4-6 weeks after publication. You can get paid for writing in a variety of newspapers and mags, just look in your local newsagent and see the shelves and rows of them. Most of these have a tips or funny stories page that you can get published in. 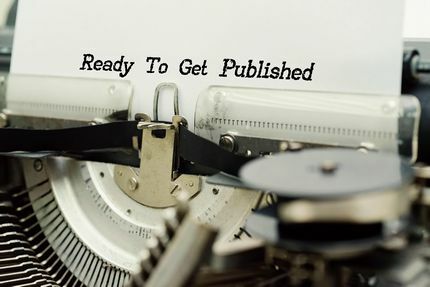 Before Find Extra Work answers how to get published in a magazine, we would strongly urge you to read a selection of these pages to give you an idea of what to write and to learn the style preferred by each Editor. It is best not to send the same one to more than one publication. Editors do not like to publish letters that have appeared in others. However if it is not put in one there is no reason why you cannot try with another. I sometimes have to send one to 2 or 3 publications. Do keep these on file and wait about 4 months before trying elsewhere. This works well for tips or funny stories, but not for news stories that may become dated. In such an instance you could reword it so that it does not read similar. The best advice is to spell and grammar check and ensure your name and address appears on each one to ensure you get sent payment. This is especially important if you e-mail it. If you send them in by mail then do use good quality paper and envelopes and print it out, rather than hand write each one. Only type on one side of the paper. Daily publications like The Sun or Daily Mirror newspapers are a great way to earn money writing and will have a lead time of 1 day up to 2 weeks. So try and send it there first. I often write several a week to these publications and get published most weeks, if not days. Scottish writers can write for The Scottish Sun and The Sun to double their income revenue. Listen to the radio, read internet news sites or watch TV news for up to date news stories to write about and give your opinion. Weeklies like That's Life, Take A Break, Chat, etc and weekly newspapers like The Sunday Post have a lead time of 1 week to 3 months, so you may have to send stories 3 months beforehand. For example if you have a Christmas opinion or story this should be sent in at about August or September. They like to publish seasonal stories at times like St Valentines Day, Easter, Halloween, Bonfire Night etc. Do keep a pool of stories and tips that you can send in to Editors until you are successful. Once it has been published then file the publication in your scrap book, delete it from your pool for publication and never be tempted to send it to another. Editors love regular writers who send them well written material to fill their pages - they don't like publishing something a rival may have recently published. Do this and you may no longer be wanted so keep it unique. If you have the time and enough material you should send one each day or at least once a week to ensure you are regularly published in a variety. This would only take a few minutes or an hour or so a week, giving you time to do the other work listed on the left and right of this article. Do be honest and don't make up funny tales. The Editor or a journalist may contact you if he or she thinks it could become a full article of interest or wants a photo to go on the letters page. Photographs usually gives you a higher payment. Try replying to other letters, stories or articles. This shows the Editor that you read the publication, take an interest in what is written and helps keep a subject topical. Income from writing for magazines and newspapers should be declared to your tax office on your self assessment form. You can claim expenses such as paper, envelopes, stamps, printer cartridges, computer, printer, internet access, etc. If this has not answered your questions or you need some more advice then please e-mail me. I would also welcome any advice to increase the information to make it more useful to others. I would also appreciate it if you were to send our link to your friends, forums and social media. Automatically add us to your favourites folder - Bookmark Us. We update weekly with new earning opportunities. © Site contents copyright FindExtraWork.co.uk 2006 - 2019 All rights reserved.